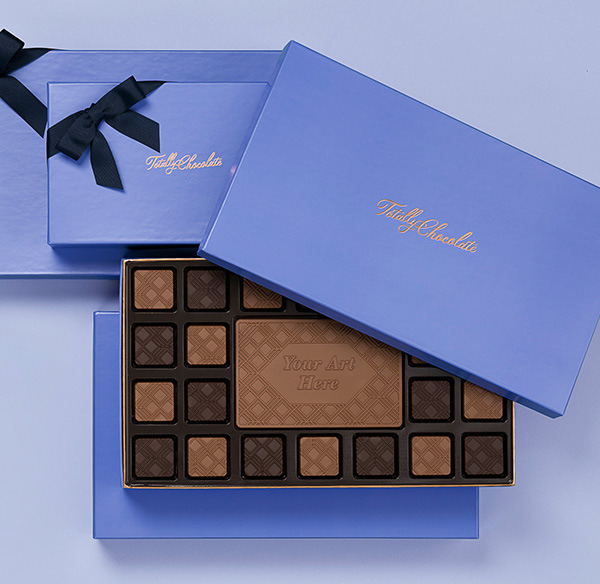 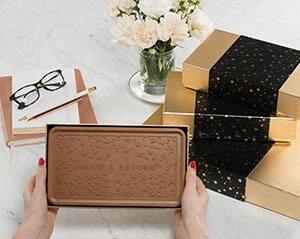 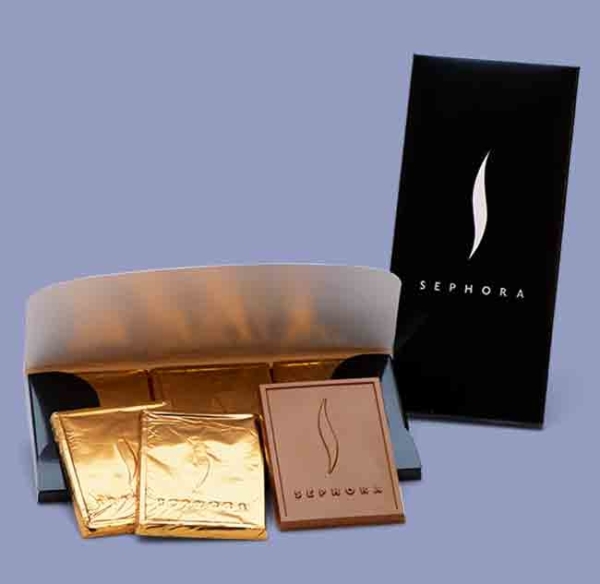 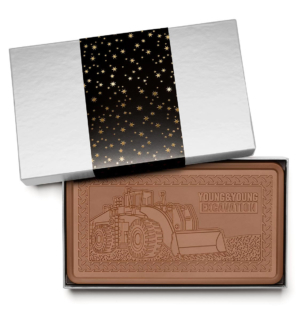 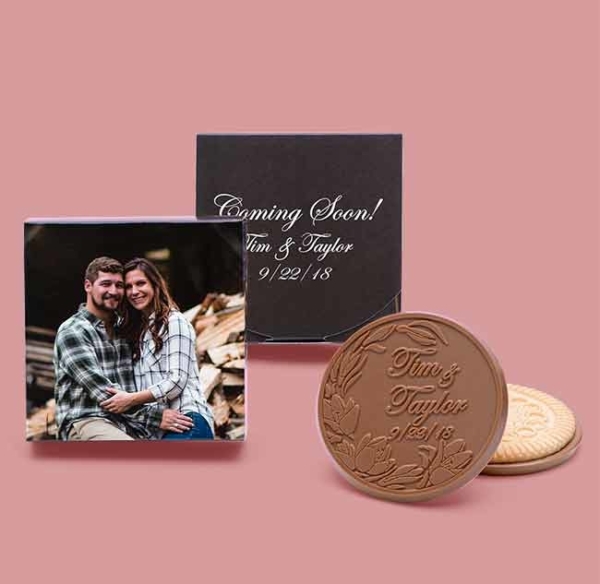 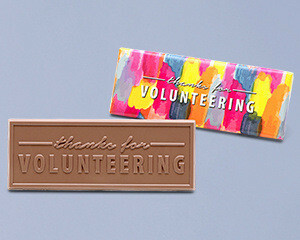 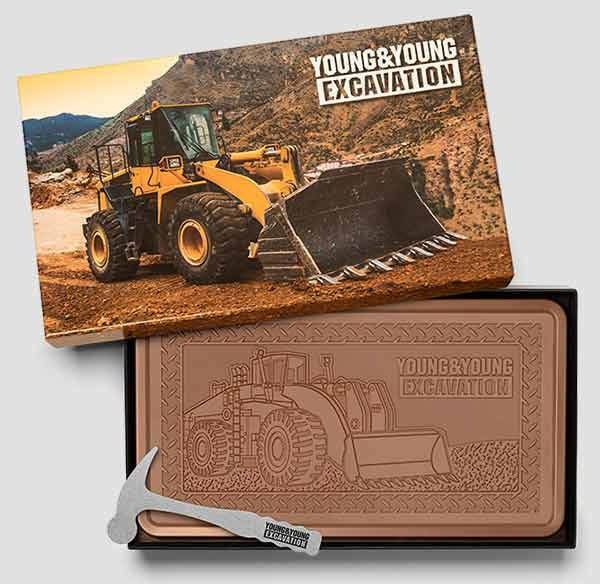 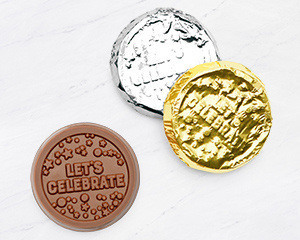 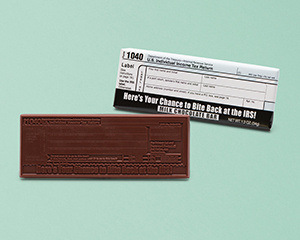 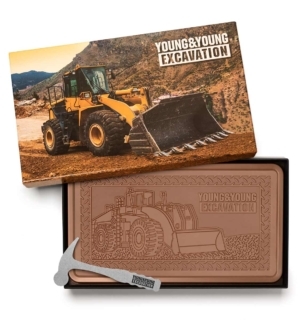 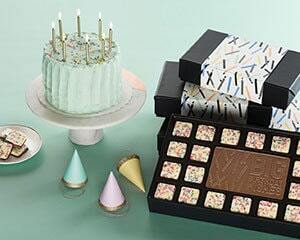 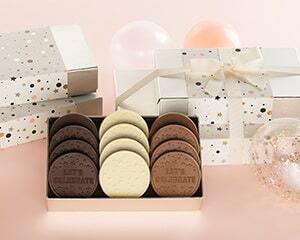 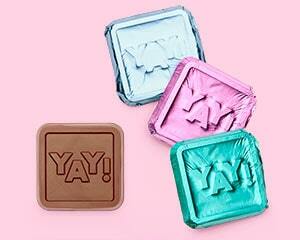 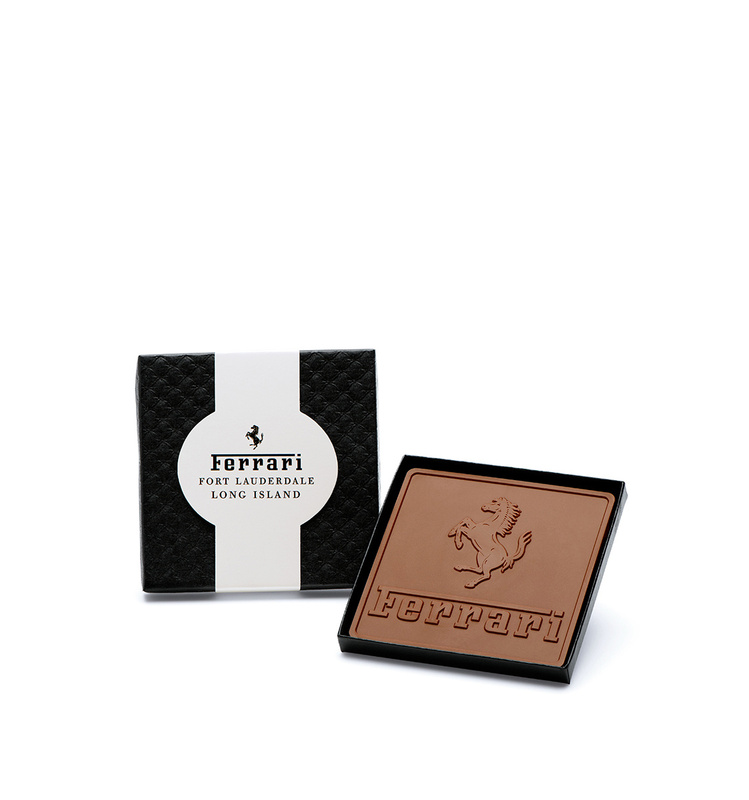 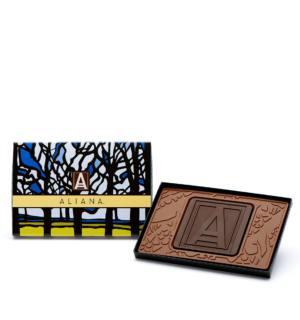 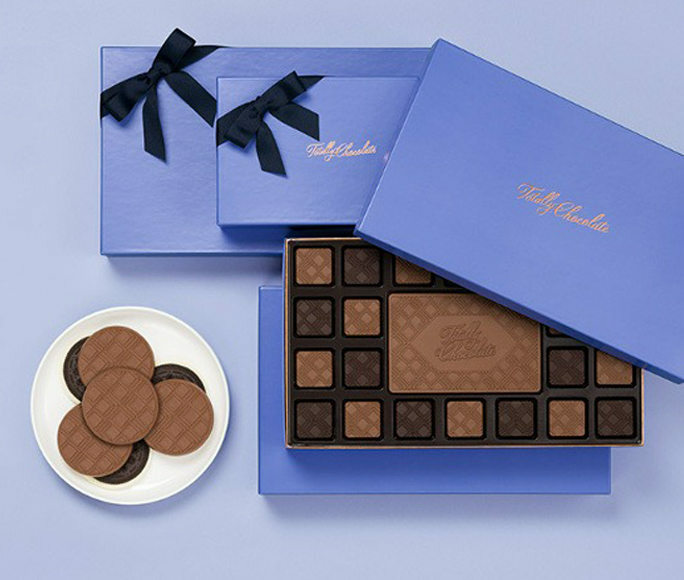 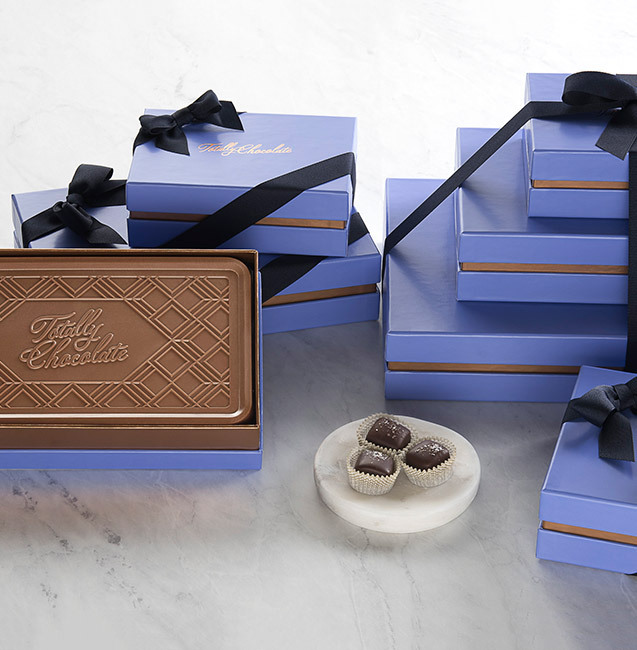 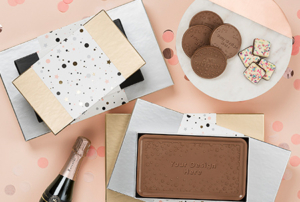 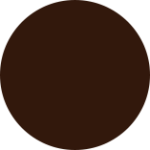 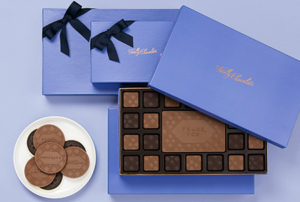 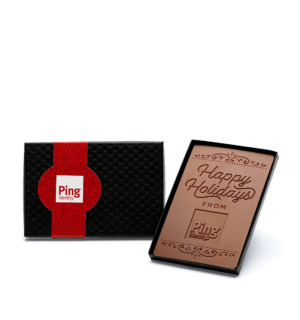 Your custom design is engraved in 2oz of Belgian milk or dark chocolate and attractively packaged in a 4×4″ gift box. 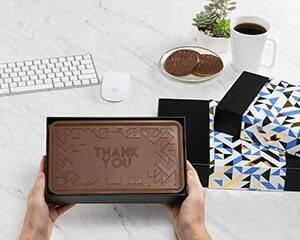 Great for corporate events, custom client thank yous and corporate holiday gifts. 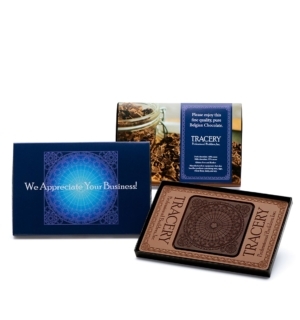 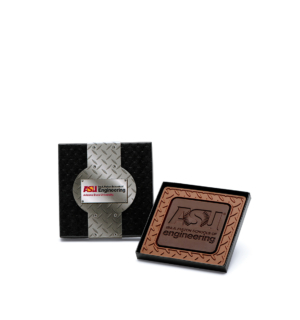 Full-color printed sleeves (not shown) are available to add the ultimate custom look to your business gift packaging for $1.50 additional.